Carbohydrates have been put into the spotlight ever since diets like the Atkin’s Diet and the South Beach Diet have recommended cutting carbohydrates out of your meals as much as possible. However, before you make an drastic decisions about what foods to include and not include, it is crucial to learn about carbohydrates and what they do for your body. In short, carbohydrates can be good or bad for your body. It is necessary to eat enough good carbohydrates, because that is how our body has enough energy for low-intensity activities during the day. Carbohydrates are famously found in breads and grains, but actually they are also found in a number of other foods as well, such as fruits and vegetables. When keeping an eye on your intake of carbohydrates it is important to distinguish the good from the bad. All carbohydrates are basically sugars. 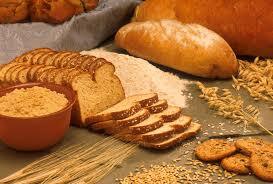 Complex carbohydrates are the good carbohydrates for your body. These strings of sugar are very difficult to break down and trap over nutrients like vitamins and minerals in the sugar strings. As they slowly break down, the other nutrients are also released into your body, and you can provide with fuel for a number of hours. Bad carbohydrates, on the other hand, are simple sugars. Because their structure is not complex, it is easy to break down and holds little nutrients for your body other than the sugars from which it is made. Your body breaks down these carbohydrates rather quickly and what it cannot use is converted to fat and stored in the body. Staying away from simple carbohydrates is what most diets recommend, since they have little nutritional value when compared to complex carbohydrates. More importantly than how carbohydrates work in the body and the difference between good carbohydrates and bad carbohydrates is how you can actually eat these carbohydrates! First, eat plenty of fruits and vegetables. These foods include carbohydrates, but also a variety of other nutrients needed by your body. Another great tip is to cut the white bread and bread products out of your diet and replace then with whole wheat or 12-grain breads instead. Look at the packaging. Foods rich in fiber are probably a source of good carbohydrates. 0 Response to "Carbohydrate Craze"